I am here spending a beautiful weekend here in Cleveland. 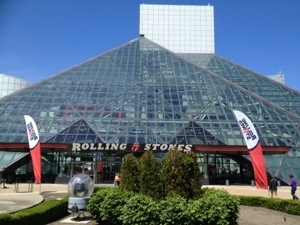 The Rock and Roll Hall of fame was awesome. I really appreciate the roots of this kinds of music. I almost forgot how much I enjoyed music of my youth. Hopefully this kind of music comes back with a vengeance… If it hasn’t already! Peace!